ProDRENALIN– This software is the Swiss army knife among the applications for optimising videos. ProDRENALIN offers many options for editing and optimising action videos. So the "fish-eye" effect, which is created by extreme wide-angle lenses, for example, is automatically removed. In addition, the video can be stabilised with ProDRENALIN. Action shots with cameras are so often blurred by vibrations or gusts of wind. ProDRENALIN optimises this almost to perfection Brightness and contrast correction is also provided for better videos. With ProDRENALIN, you optimise your action cam videos step by step up to the finished cut clip, which you then embed into your film projects with high quality, or simply share with your friends on Facebook, YouTube and so on. For 48.99€, ProDRENALIN is a great softwarethat has become a "must-have" for action cam film makers. DeFishr – What is the difference between ProDRENALIN and DeFishr? The answer to this can be found in the camera profiles. If you record your video with a standard action camera such as GoPro Hero, Sony Action Cam, Contour, etc. or a drone like DJI Phantom, ProDRENALIN offers different "camera profiles" which easily and quickly allow appropriate corrections. The fish-eye effect is immediately eliminated. But what if you do not use a standard camera and no profile is available for your camera? In this case, DeFishr would be the optimal solution to eliminate unwanted distortions caused by extreme wide-angle lenses. DeFishr can create its own camera profiles. Here, the video is analysed by DeFishr and the software "learns" about the lens to create a finished profile for it. The saved profile can be loaded and be used by DeFishr and ProDRENALIN to automatically remove the fish-eye effect. So if you film with a standard camera that is not supported by ProDRENALIN, select DeFishr. Mercalli V4 SAL+ - Advanced video stabilisation and innovative CMOS sensor correction make Mercalli an extremely powerful video optimiser. While ProDRENALIN only offers basic stabilisation, Mercalli V4 SAL+ takes itone step further and also enables CMOS sensor correction as one of the only applications on the global market. Mercalli V4 SAL+ is the proDAD's professional solution and significantly more powerful. With Mercalli V4 SAL+, you can professionally optimise your videos as a user. Versatile setting options and camera profiles help you bring the best out of your recordings. Mercalli V4 SAL+'s special feature here is the CMOS sensor correction. It helps to remove all kinds of shaking, bumps and vibrations from your videos. Especially in situations where the sensor of your camera is overwhelmed and producing image errors - Mercalli V4 SAL+ is the only option for video optimisation. 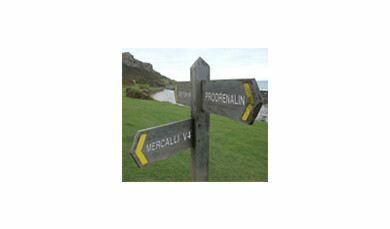 Download the ProDRENALIN and Mercalli trial versions yourself and compare the results. That way, you will be able to try out everything at your leisure and then decide which software is best for you. ProDRENALIN or his big brother Mercalli V4 SAL+. ReSpeedr – Slow motion and time-lapse to perfection: ReSpeedr is the only affordable tool that offers super slow motion and slow motion with real professional quality. In this area, ReSpeedr performs a much better job than other software on the market. To both speed up or slow down a video, you need good video material to obtain excellent results. Therefore, ReSpeedr has a stabilisation function which is also contained in ProDRENALIN. Only when the video is stabilised can there be the application of slow motion and time-lapse effects in the second step. The special feature about ReSpeedr is that video from traditional cameras and action cams is also sufficient to generate high-resolution super-slow motion with up to 1000 FPS or even more. The technology behind this is high-tech - ReSpeedr generates videos with super slow motion quality from recordings with a lower frame rate using a sophisticated algorithm. The missing frames are calculated by the software and inserted into the video. Do you want to view detailed information about the products and sample videos?You can find all software information, instructions and videos under Products at prodad.com.